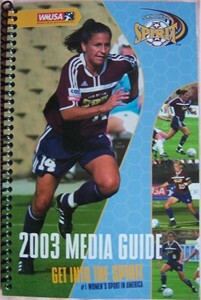 Official 2003 WUSA San Diego Spirit media guide featuring Joy Fawcett on the cover, spiral bound with 144 pages. 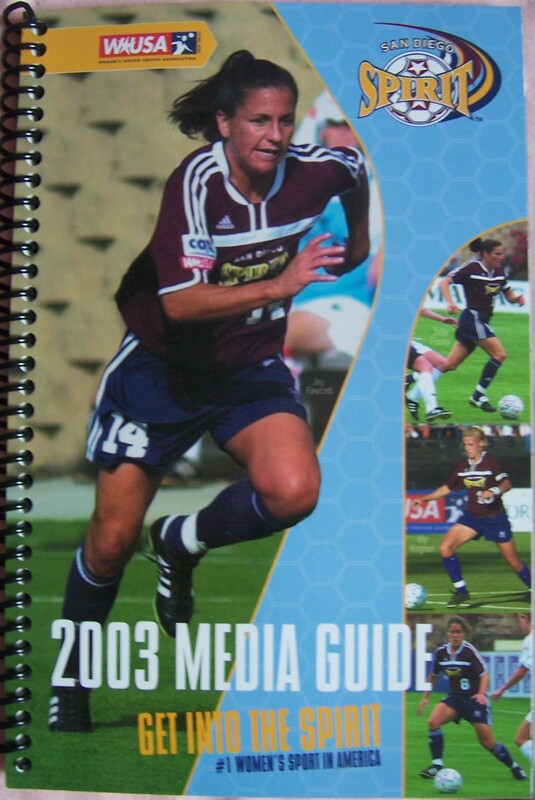 The league has been defunct for 5 years now. MINT condition.